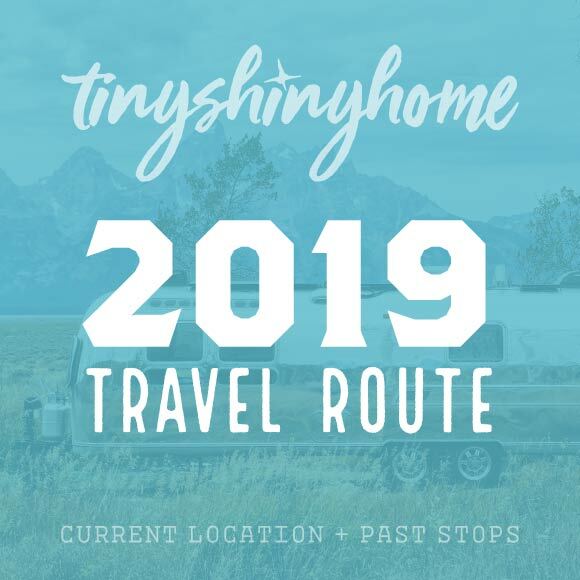 Tiny Shiny Home is all about family adventures, full-time travel & simple living. We’re Jonathan & Ashley Longnecker. We love travel, food, homeschool, tattoos, dreads, adventure, living simply, and our 4 amazing kids! Honestly I thought it would be easier to eat healthy on the road. Little did I know that we would fall in love with camping off-grid in remote areas which usually results in a lack of decent grocery stores. I mean, finding out that the local grocery store is also a the hardware store is not something that even phases me now. At first it was shocking, but now I’m like… "Okay, that’s normal." Hello dear friends. If you’re reading this, chances are you know who we are and you know why we travel full-time. You probably know all our kids’ names and that we have a weird obsession with boba. And if you’re still reading this, you probably even know that we love to boondock. And if you’re new around here, that just means camping off-grid (usually on public lands designated for us nomads). Oh, San Diego. It's was so nice to meet you! After leaving Hollywood, CA we headed south and scored the best site at a little site at a place called Lake Jennings Campground. The campground itself was pretty run down which is a shame because it has so much potential, but the views were incredible! If you camp off-grid often, you know the water struggle. Where can I get it in this town? What kind of connection do they have? We’ve already covered the basics in this article (like bladders, hoses, jugs, etc…), but here are a few more indispensable tools to help you level up your water quest. After a year of full-time travel we sold our brand new 5th wheel, bought a 1972 Airstream Sovereign Land Yacht and are currently in the process of completely renovating it for boondocking and off-road travel.